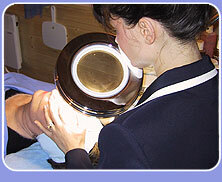 Fine red capillaries or skin tags can be effectively removed by electrical diathermy (heat). A fine needle, is used for electrolysis that cauterises the capillary vessel, causing it to coagulate. Blood in the capillary quickly disappears because it is absorbed into the lymph system. Once the dilated capillary has been treated, it will not reappear again, although it is possible that other dilated capillaries will appear in the same area, particularly if the cause for their appearance is not eradicated. 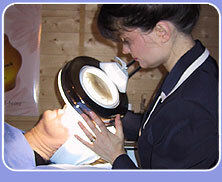 Treatment of dilated capillaries is particularly effective because the redness disappears almost immediately.